Brand: Wabash Valley Farms WVF-77804 Units: 4.7 oz. 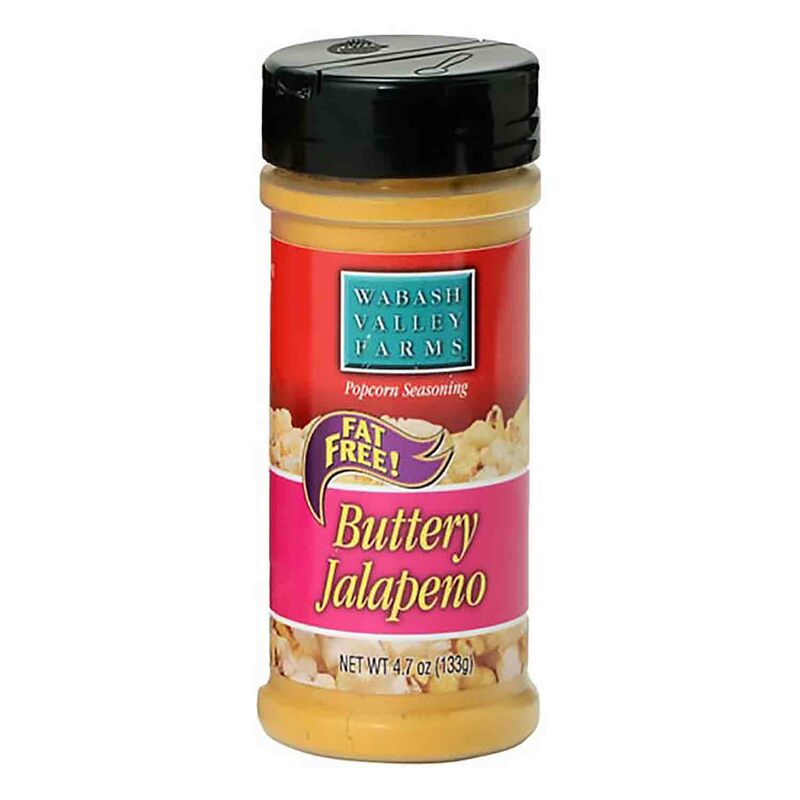 jar Wake up your taste buds with Wabash Valley Farm's Buttery Jalapeno popcorn seasoning. It's the perfect blend of spices and seasonings to enhance the flavor of your popcorn like never before. Sprinkle on your popcorn by itself or combine it with the Zesty Cheddar Cheese seasoning to create a spicy nacho cheese creation. Wake up your taste buds with Wabash Valley Farm's Buttery Jalapeno popcorn seasoning. It's the perfect blend of spices and seasonings to enhance the flavor of your popcorn like never before. Sprinkle on your popcorn by itself or combine it with the Zesty Cheddar Cheese seasoning to create a spicy nacho cheese creation.